Looking for a vacation rental that welcomes pets? Many of our vacation homes are pet friendly. 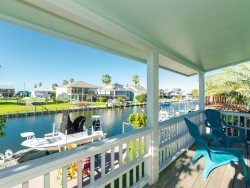 Below is a list of pet friendly vacation rentals in Rockport and Port Aransas. Please note that a non refundable pet fee is required at these vacation homes.